Dema started his basketball career in America with Dallas Woodrow Wilson High School after arriving from Senegal. 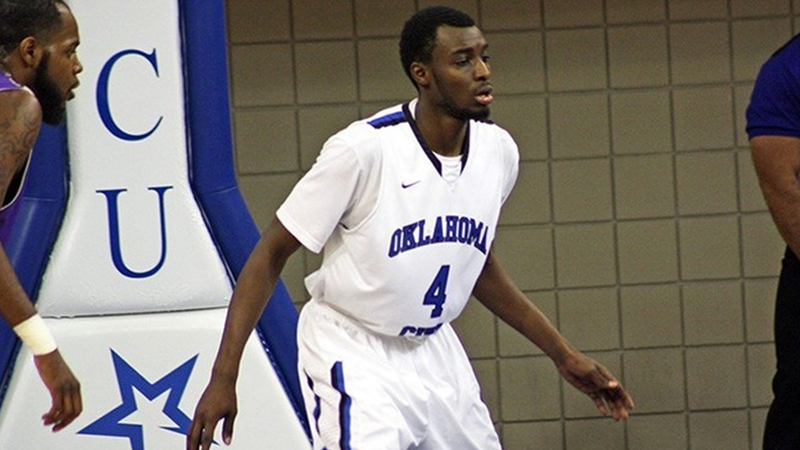 He played college basketball for NJCAA institution Navarro College in Texas, before completing his college career playing for Oklahoma City University. During his time in Oklahoma he was part of a nationally ranked side that made the NAIA D1 National Tournament whilst he also ranked individually for blocks in both Conference and National Rankings. Dema’s good performances did not go unnoticed. After his completing his senior season of college basketball he moved to Colombia where he played professionally. Dema had always planned to pursue a masters degree though did not know he’d have the opportunity to do so alongside his basketball career. Play Overseas was able to generate a variety of options to give him the opportunity to do both. We are certain that the 6ft 8’ centre will make a big impact in the UK and look forward to tracking his success in the classroom and on the court throughout his basketball scholarship. Interested to see who else we have worked with? Read what other students have had to say about working with Play Overseas here. We are currently recruiting basketballers for postgraduate scholarship opportunities ahead of the Fall 2018 semester. If you wish to be considered, enter your details here for a free evaluation.